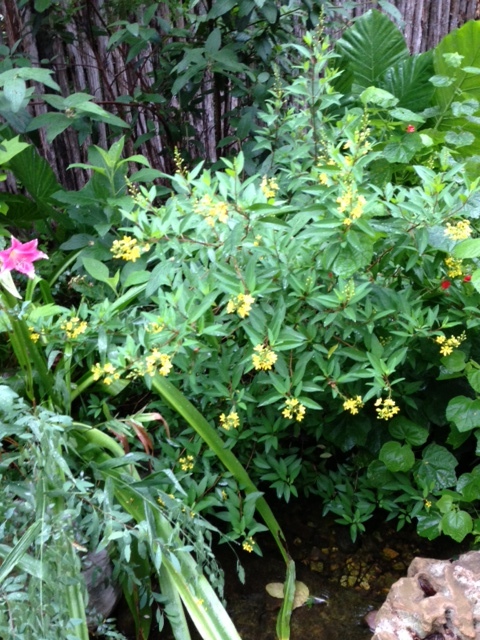 HABIT: Rounded compact shrub with small yellow flowers in summer. Texture is fine to medium. Fruit is in small through seeded capsules. CULTURE: Needs little care after establishment. Moderate watering and fertilizing needs. Likes sandy soil or well prepared beds. USES: Natural hedge, backdrop, summer color. PROBLEMS: Finding the nurseries is the current biggest problem.